There’s no way to deny the appeal of a polished dress that’s just as appropriate for date night as a day at the office. This No Comment maxi dress fits the bill beautifully. 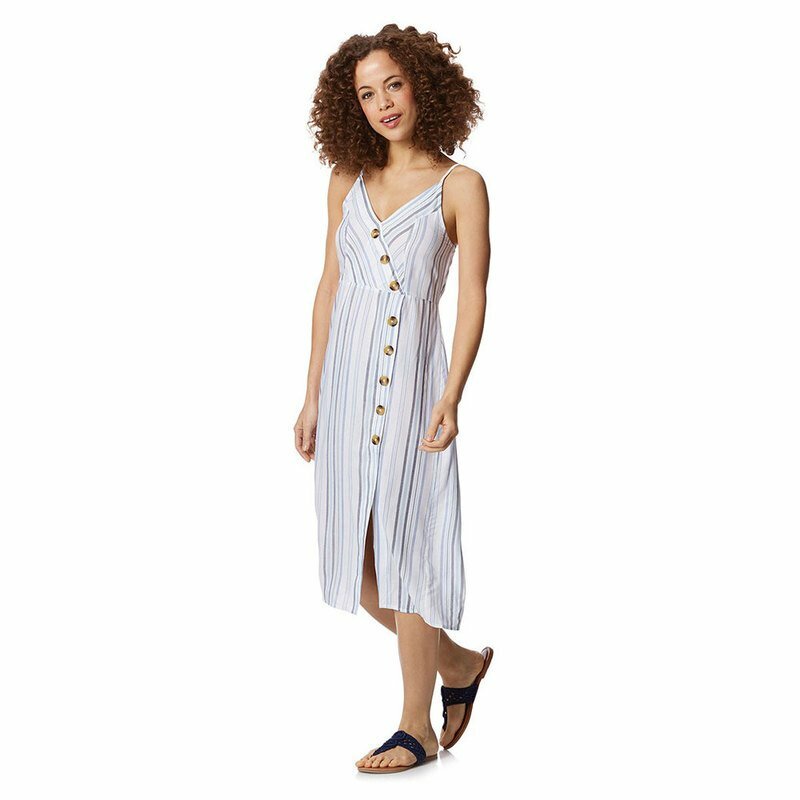 You’ll love its asymmetrical button down detail that leads to a flirty front slit. Its simple spaghetti straps and long length makes it easy breezy to wear all day, then add your favorite denim or leather jacket over for those cool nights.